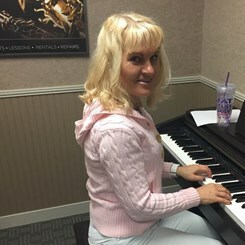 Mrs. Kozlova is trained in the classical Russian method. She studied with famous musicians and teachers in the former Soviet Union. She started studying music at the age of six. After successfully completing music school, she attended four year College of Art and majored in piano and music theory instrucion. Request Lessons with Elena today!